,445/50,Famous Men. 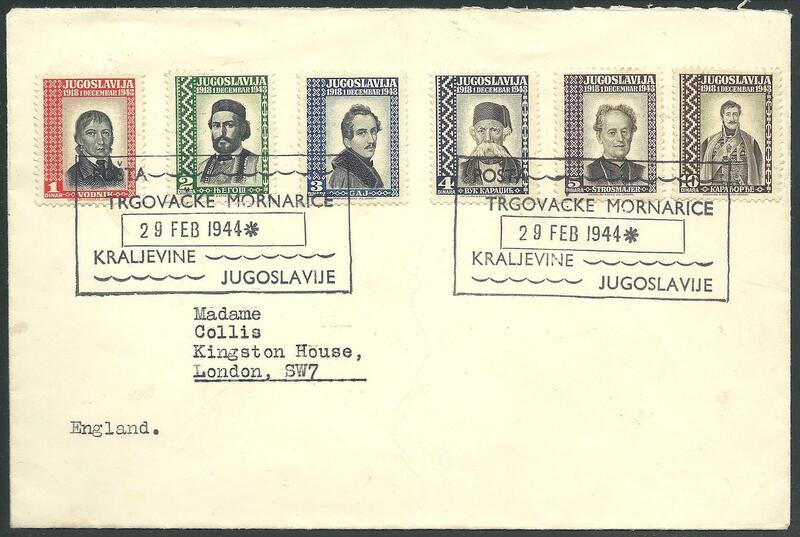 Complete set on an overpaid unmailed cover cancelled by the Royal Merchant Marine cachet (29. FEB 1944), rare.